So here is where we stand. 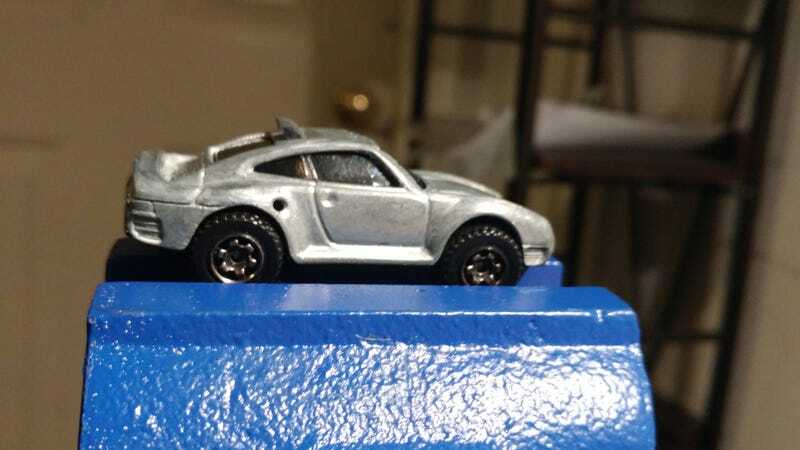 The ride height is done, arches sufficiently sanded to give clearance, and I just added the intercooler and roof-mounted rear lights. I think I’m ready for primer! Which is a good thing, since I only have 5 days left to finish! Eek! I used some of Tinfoil That’s chassis rails to make the lights, they had the perfect dimensions! All I had to do was cut off a 4mm piece, sand a nice slant on them and done! For the intercooler I stacked 6 pieces of thin styrene and glued them all together, flanked by two pieces of slightly thicker styrene. I figured the layers would mimic the intercooler fins a little bit. Let’s hope I can finish this thing on time! !